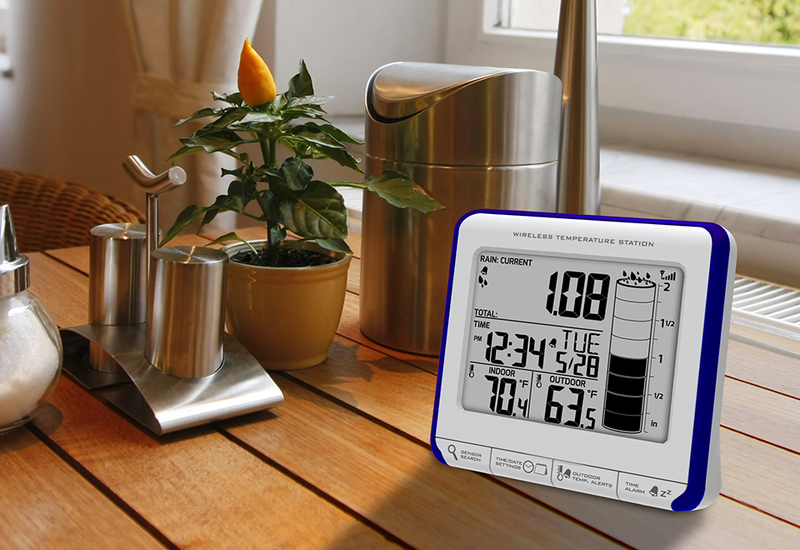 The Wireless Rain Station collects rain from outside and sends accurate readings to your wireless monitor in the comfort of your home. 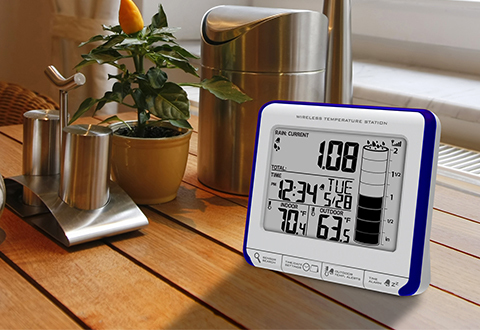 Ideal for gardeners, farmers and weather buffs alike, this handy device features a self-emptying rain bucket, a wireless weather sensor and an easy-to-read LCD screen with adjustable brightness. 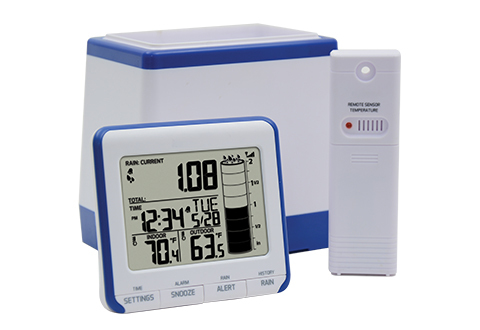 You get the current temperature, current time, date and total rainfall recorded in the last 24 hours. It even creates a rainfall "history graph" that spans days, weeks or months. Makes a great school science lesson too! 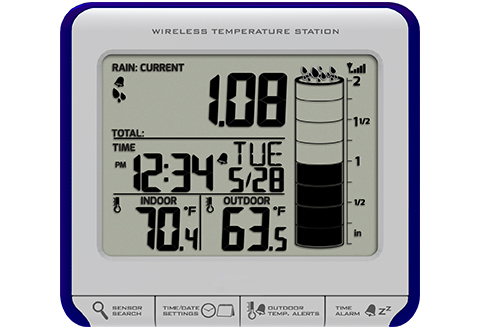 The Wireless Rain Station tells you how much rain has fallen, and compiles the data into handy reports!